In a shocking move Facebook acquired Twitter even without the latter's knowledge. Facebook did this acquisition very slowly and stealthily. The acquisition model used by them was the slow poison model. When twitter came into the online market, they took the world by storm and with its amazing features their users increased in no time. As it was simple to use and as it helped people who did not have a good grip of the English language, it was an instant hit. The makers of Facebook were noticing it all along and they went in for the secret attack. Slow and steadily they copied and incorporated all the features that Twitter had. Now Facebook has all the features that twitter has. 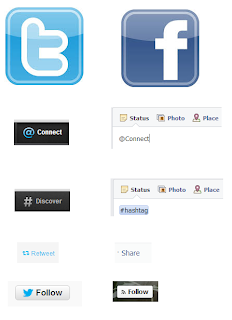 The @ symbol, the # tag, the follow feature and the Retweet feature are now available on facebook. Now Facebook even has image uploading features in it. Unless and until the developers at Twitter push the pedal, they will soon be rolled over by facebook. As a big time user of Facebook, I do not even have to use my twitter handle anymore as my facebook ID does all that my twitter handle used to do for me. This is one of the smartest and cruelest of all online acquisitions. The title is totally crazy.. there is a huge difference between copying all the features and acquiring.